Today, I’m going to give as unbiased a review as I can of the Jackson National Perspective II Variable Annuity with LifeGuard Freedom Flex. A financial product like an annuity may not be useful for everyone, but there are those out there that could benefit from an annuity. As a financial planner, people that I know usually approach me for financial advice. Recently, I’ve gotten more and more questions about annuities, so I thought I’d do an annuity review for the blog. As an independent fee-only financial planner, I don’t sell annuities, but I try to keep an open mind when I review financial products. I have also filmed a video review for the Jackson National Perspective II Annuity that goes in depth about its features and how it handles some stress tests I put it through. This review has been updated as of July 2013. This article is considered a review. This article is neither a recommendation to buy nor a recommendation to sell an annuity. I am not compensated for this review. I am doing this review on my own volition. Jackson National has not endorsed this review in any way. Before purchasing any investment product you should perform your own due diligence by reviewing the prospectus and other materials for the product. This review should not be considered personalized advice. Please, consult a properly licensed professional should have specific question about how this product can fit into your individual financial circumstances. All names, trademarks, and materials used for this review are property of their respective owners. Now that’s done, let’s get started. A standard variable annuity (VA) allows investors to invest in subaccounts, which are like mutual funds, within the VA. Investors take on the risks of the market and usually have some sort of death benefit associated with the annuity for their heirs. Over the past decade, new riders have come out for variable annuities that offer income guarantees. Typically, these products are sold as allowing investors to participate in the market, and get any upside from market growth, while avoiding a loss of income from a situation such as the Great Recession. The story that salespeople tell about these lifetime income riders is that they offer an investor a minimum income for life even if the investments take a dive. The Financial Crisis of ‘08-‘09 has caused many investors to fear another recession and a lot of salespeople are exploiting that fear. My worry is that investors aren’t getting all of the facts that they need to properly evaluate these complex financial products. Even worse, many salespeople may not even know how these products work themselves because they haven’t taken an in-depth look and broken one down piece by piece. What are the Fees for this Annuity? So now we’ll go over fees, and after that I’ll show you the break down and stress test of the annuity. Typically variable annuities pay a 6-7% commission to the agent/broker. That’s why the insurance company charges you a surrender charge or what this brochure calls a contingent deferred sales charge. If you don’t stay in the annuity long enough for the company to make a profit, you pay a surrender charge. A surrender charge is a way for the insurance company to recover the costs of the commission they pay and it decreases over time. As you can see, the surrender charge decreases each year until it goes to 0% after you hold your annuity for 7 years. The surrender charge is a separate expense from the annual fees associated with the account. Beyond the surrender charge, there are also several other types of expenses. The base fee for owning the Perspective II Annuity is 1.30%. There are 104 subaccounts. These will act like mutual funds for investors. There is a pretty wide range in mutual fund expenses. Ranging from 0.41% to 2.23%. The Perspective II has an average subaccount expense of 0.95%. The model in the review uses the S&P 500 subaccount for a total of 0.59% in expenses. The expense for the LifeGuard Freedom Flex rider with an Annual Step-Up, 7% Bonus, and optional income upgrade is 1.50%. Death benefit rider expenses for the Lifeguard Freedom Flex DB Rider are 0.80% annually, paid on a quarterly basis. These are not included in the video review. The typical investor will probably not experience all of these expenses, but it’s good to know that the maximum Jackson National can charge is incredibly high. If you add up all of the expenses for benefits and riders and the highest mutual funds, you can clear over 6% per year. In the video I use the expenses for the S&P 500 subaccount, the cost of the income rider, and the annuity expenses. Like all annuities, investors looking to purchase the Perspective II are typically doing so for the features that an annuity offers that may protect against downside risk. The Jackson National Perspective II annuity has the following features. Because it is a variable annuity, it acts as a bucket into which you put your money. You then invest the money in that bucket into different mutual funds within the annuity. These mutual funds are called subaccounts and are only invested in by investors with variable annuities. Because variable annuities have contract values that go up and down with the market, they normally offer some type of death benefit before you annuitize the annuity, which means to begin the withdrawal phase of the annuity. This benefit basically offers you the greater of the value of the annuity or the amount you originally invested. Finally you have a withdrawal schedule that enables you to take withdrawals before you annuitize your contract. This is how much you can take out of the annuity each year without being penalized. Typically it is 10% of the annuity’s value each year. So, how does the LifeGuard Freedom Flex income rider work? This is a very complex annuity rider with a lot of moving parts so pay close attention. This version of the Perspective II annuity has two components, the income base and the contract value. The income base is the amount that the income guarantee of the contract is based on. The contract value is the value of your subaccounts. For the purpose of this review, I chose the LifeGuard Freedom Flex with 7% Bonus and Annual Step-Ups optional income upgrade, which has 1.50% in additional fees. The joint survivor variation is no longer available. Each year (quarterly options are no longer available) Jackson National will compare the guaranteed income base of the annuity to your annuity contract value (the value of your subaccounts) and “lock in” the higher of the two values. If the contract value is lower than the value of your income base, the 7% increase will step in and increase your income base by 7%. This does not affect the value of your subaccounts. So, during the sales pitch, the LifeGuard Freedom Flex rider is sold as a guarantee that you get the higher of either market growth or 7%. The fees greatly reduce the returns of the portfolio, so I don’t think this is a fair representation of how it works. It’s unlikely that your portfolio will generate returns in excess of 7% after fees, as you’ll see in the video. This may cause you to be limited to the gains from the 7% bump each year for the first 10 years, which again, do not apply to the cash value of your account. They only apply to the income base, upon which the income withdrawals will be calculated when you begin taking withdrawals. There is also a 200% Guaranteed Withdrawal Balance Adjustment that will increase your income base to 200% of the original premium value after 12 years. If you were to invest $100,000 in this annuity and then wait 12 years to begin withdrawals, your income base would increase to $200,000. If you were 77 when you began taking withdrawals, this would be an $11,000 per year stream of income. While this sounds fantastic, it’s interesting to see how it might play out in reality. Here I walk you through what the data tells us about the Perspective II. In the video I use an excel model of this annuity to break down the returns a 65 year old investor could expect to have. If you are interested in the Perspective II Variable Annuity, it’s a must-watch. This annuity offers compelling benefits and a lifetime stream of income. However, if you are looking for an financial product that offers both growth and income, this will not fit your needs. The high fees on this annuity, which were 3.39% with the features in the video, cause the Perspective II annuity to be a poor vehicle for growth. The majority of the allure of this annuity is in the Lifeguard Freedom Flex rider. It will take quite some time to get a return on your investment with this annuity and those searching for guaranteed income products may wish to look elsewhere. Now I don’t think these advisors and salespeople are bad people for not explaining these annuities like I did for you in the video. I just think they aren’t fully informed about how these annuities work. You see, I have several friends in the insurance business that said they were very interested in seeing my thoughts on various annuities and encouraged me to write this review. With complicated financial products it’s tough to go through all of the data and model it all out. Unfortunately, that’s really the only way to understand how they work. If you have any questions, please contact me. Annuities, with all of their guarantees and lifetime income riders, are just flat out complicated financial products. They can be really confusing, especially when a salesperson is putting pressure on you to buy an annuity as soon as possible. Before you put a large amount of your savings into an annuity, consider your options. As you saw in the annuity review, annuities are a long term investment with surrender charges, so I think it’s important that you know the facts about an annuity before you buy it. You should have an independent financial planner give you an objective opinion about whether an annuity is right for you and explore better ways to protect your savings while generating reasonable returns. As a fee-only financial planner, I’m only paid by my clients and I don’t receive any commissions from insurance or brokerage companies. This means I’ll objectively review your finances and tell you whether or not an annuity makes sense in your situation. If you think I’ve been in error anywhere please let me know. As of October 15, 2012 Jackson National no longer offers the joint life expectancy payout option for its Lifeguard Freedom 6 Net and Lifeguard Freedom Flex income riders. As of July 18, 2013. This annuity review article has been updated and a new video has been filmed and uploaded to YouTube to reflect changes Jackson National has made to this annuity. Independent Review of the Allianz MasterDex X Fixed Index Annuity with Simple Income III Rider What Type of Investment Account Should I Use? Principles of Financial Freedom During Retirement: Investing in Stocks How Does Inflation Impact My Retirement Income? Mr. Scherer, thank you for this information. I will turn 65 on January 2, 2013 and had planned on purchasing this exact annuity at that time. At age, 65 I will be able to withdraw 5%. I was planning on purchasing this product for two reasons. One, to guarantee a lifetime stream of income. Two, to ensure that I leave a large part of the purchase price to leave to my heirs. But after watching the video, I am now having second thoughts. Not that I wasn’t already having second thoughts for about a year. I have read as much as I can about investment products to help fund my retirement but I am still at a loss as how to wisely invest my money to accomplish my two goals. I am thinking about purchasing this annuity soon with a quarterly step-up. I am 65 and plan on annuitizing this annuity as soon as I purchase it. Can you modify your spreadsheet to reflect this scenario? The payout is 5%. Thanks for your insight, It has been very helpful. I have an appointment the week after Thanksgiving with my adviser. So if you could do this by November 26, it would really help. Or maybe you could e-mail the spreadsheet in your video and I can modify it to meet my needs. Thanks. This is a very difficult VA to understand. What if the investor is 50 years old, invests $100K, and starts taking the payout at 65? Thanks for the comment, check your inbox for an email from me. Excellent points on your presentation. Would it be the same if I invest $100,000 at age 45? Please advise. Thanks! I’ve actually done a major rework on my model, which allows me to utilize simulated returns (rather than average returns) from the past 87 years. So I plan to update the post with a new video soon to reflect the changes. It’s capable of doing 50 year returns, so I’ll incorporate this question into the video (or a second video.) The starting period greatly affects the returns, so I can’t give you an exact answer. If you’d like a walk through shoot me an email via the contact me page and we’ll set something up. I want to roll over my 401K and get a monthly income from it. Would the Lifeguard Freedom Flex be good for me or the Freedom 6 Net???? I am 74 and only have $100,000. to invest but need an income from it of at least $500. per month. Thanks for a very informative, and interesting, analysis! 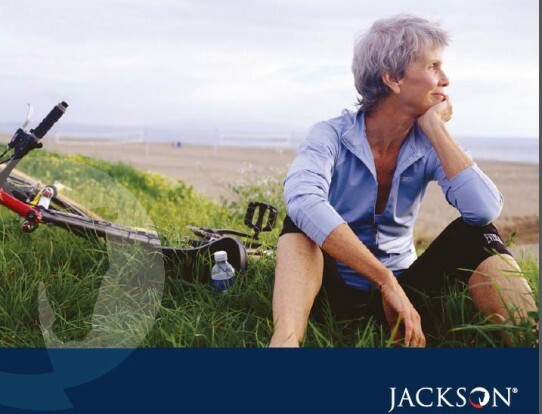 My wife & I are considering moving some fixed annuities (TSA’s – part of her educational retirement program) to this Jackson Variable Annuity program. The fixed annuities now guarantee a minimum 3% annual growth and have no current surrender charges. Does it make any sense to transfer from our fixed to the Jackson variable annuity program? I can’t really give you any specific advice until I can read through a contract because it’s really a matter of seeing if the numbers work. It’s simply amazing what you can learn if you delve deep into a contract (both your current TSA as well as any new annuity.) So, the first thing you should do (or an advisor should do, preferably a fee-only one) is conduct a cost/benefit analysis of the two investments. Determine if it fits your risk tolerance, your time horizon (these types of variable annuities are typically held for ten years before you take an income), and the alternatives. If you’d like some more specific help, shoot me an email via the Contact Me page. Thanks for the info. Could you provide break down for investor is 38 years old, invests $70K, and starts taking the payout at 65? My new model can do 50 year returns, so we could run the numbers for a 38 year old but it would be limited to an ending age of 88. If I start using anything greater than 50 year periods, there are fewer start dates I can use therefore we start having trouble with the sample size. Interresting analysis. I think the thing that is the most compelling about annuities is the “pitch” that your investment is guaranteed not to lose. It can go up if the market is good BUT it wont lose $ if the market goes down. Very important to people that are entering retirement age now or soon and don’t have time to make up for loses if the market tanks again. The fees are what they don’t tell you about. Your discussion was very thorough. Do annuities ever make sense at any age? Thanks for the comment, you bring up some great points, I’ll try to address each of them in turn. As you mentioned, it’s the pitch about this type of annuity that is the problem, but I’d say it’s not necessarily the annuity itself. Unfortunately, most retirees are not told that the guarantee is a hypothetical account that is used to determine their income, whereas their walk-away-money (the surrender value) will fluctuate with the markets and withdrawals. If someone is completely aware of the costs involved, how the annuity functions, and the returns they can reasonably expect from the product and is OK with that, then it may fit them. I think it really comes down to the personality of the investor, how risk tolerant they are, and whether the annuity will get them to their goals/maintain their purchasing power. So a cost/benefit analysis should really be run to see if a particular annuity will do so and whether another annuity may be available that could do it cheaper. So, at the end of the day, variable annuities with income riders may have their place in certain situations, but certainly not all of the situations in which they are sold. Most people buy annuities based on the mouth-watering 6-8% returns with no downside risk, so for those individuals, it probably isn’t a good fit. Very enlightening! Thank you, I am being “advised” by a financial salesperson to invest in a Jackson annuity, but have not seen a contract. I cannot afford to invest the little I do have unwisely. My question is, if one is 10 years from retirement and accessing the money, why would an annutity not be a good idea with a plan to close the account, once there are no surrender charges and walking away with the “guaranteed” 7% growth? Am I correct in thinking that at retirement age, there are no tax deferred options to roll the money into, and that capital gains taxes would make this idea prohibitive? Hi Debbie, thanks for posting your questions. There are two types of account values in this annuity. There is the surrender value, which is the amount of money that you could walk away with after the surrender charges and then there is the income benefit base. The income benefit base is the amount that is guaranteed to grow at the greater of the guaranteed rate (in this case 7%) or the value of the subaccounts. The income benefit base cannot be withdrawn and is only used to calculate the guaranteed lifetime income from the Lifeguard Freedom Flex income rider. If after 1 year your subaccounts grow from $100,000 to $105,000, (5% growth) your surrender value would be $105,000. Because 5% growth is less than the guaranteed rate of 7% growth, the value of your income benefit base would grow at the guaranteed rate of 7%. So the benefit base would grow from $100,000 to $107,000. The $107,000 benefit base is the amount used to calculate how much you could take each year when you turn the income rider on. The $105,000 is the amount you could walk away with. The guaranteed 7% is not applied to the surrender value and is only used to calculate the amount you could take as income. After age 70.5, you would have to start taking required minimum distributions on any money in a traditional IRA or an annuity. However, any money/assets in a Roth IRA (after tax contributions and tax-free distributions), would not be subject to required minimum distributions because you have already paid taxes on the funds in a Roth IRA. I hope this clarifies the issue a bit. Let me know if I need to go into some more detail. Thank you for such a refreshing explanation. This question is almost too embarrassing to ask, but the case is that a financial adviser persuaded my 72 year old mother to take out a home equity loan of $300,000 and to purchase this Perspective Annuity with it. I will meet with this adviser to hear his side, but I just want to confirm that it appears to be as outrageous an example of financial mismanagement as I think it is. I am also wondering if it rises to the level of a violation of his fiduciary responsibility. You’re welcome, thanks for reaching out. No question should ever be embarrassing, it’s all a learning process. To answer your question, it doesn’t sound like anything we would ever recommend. I’m not a licensed attorney so I cannot offer you counsel about the legality of such advice. There are two regulatory bodies, the SEC and FINRA. The SEC regulates registered investment advisors, who are classified as fiduciaries when dispensing advice, whereas FINRA regulates financial representatives (annuity salespeople, broker dealer representatives, etc. ), who are held to the lessor suitability standard of advice. As this is a matter relating to the sale of a financial product, I would suggest you contact FINRA, the organization that regulates financial representatives and ask FINRA for advice on the situation. Additionally, if she wishes to return the annuity and if she purchased this annuity within the last 10 days, there is typically a “free look” period that may allow her to exit the annuity without any surrender charges. I am 69 years old and have a Allianz annuity past the seven year period that my financial advisor is suggesting to do a 1035 exchange into Jackson Perspective II. I am wanting to take the cash out of Allianz and pay my current taxes. I am not planning on taking this as income but a lump sum. I feel I should do this now before I have to take IRA automatic distributions. By the way my accountant says that I can pay the taxes now without having to push me into the next income bracket. There really are a few issues at play here. 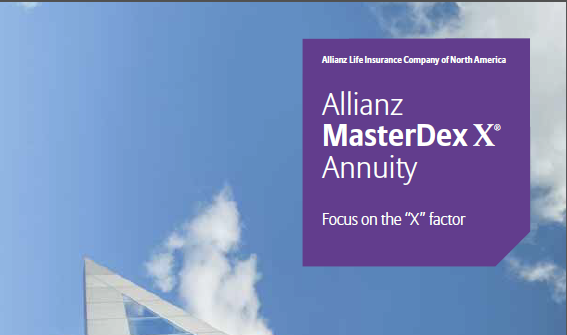 If the Allianz annuity was purchased within an IRA, you cannot 1035 exchange it into a non-qualified annuity. The 1035 exchange is designed to allow a non-qualified annuity to be exchanged into another non-qualified annuity without triggering a taxable event. To avoid required minimum distributions, you would need to withdraw the funds from the IRA to trigger a taxable event and pay taxes on the earnings (which you mentioned would not increase your marginal tax bracket, which is good news.) You really need to analyze the advantages and disadvantages of this. Advisors sometimes roll over an annuity simply to generate a new commission, so there should be a very compelling reason to roll your annuity into a new one. Whether you must take RMDs or not should not be considered in isolation, you really need to look at your tax planning strategy as a whole. As for tax management strategies, you have a few options to reduce your taxes during retirement and avoid RMDs, I can walk you through some on the phone if you’d like. Additionally, annuities with income riders that were issued prior to the financial crisis in 2008 typically have more favorable income terms than do currently issued annuities. Without analyzing your annuity, I can’t say for certain, but your current annuity may offer better terms than the Jackson Perspective II. Also, any income guarantees that had accrued within the Allianz annuity would be forfeited by selling it. For the Jackson National Perspective II, to take full advantage of the guarantees of the annuity you would need to wait 10 years before withdrawing income from it (or 12 if you’d like to take advantage of the guarantee that doubles your premiums after 12 years.) If you are just focused on taking a lump sum distribution from the annuity, an annuity is probably not the best option to accumulate money. The high fees hamper investment growth and the income rider will not offer any downside protection. So, annuities should really only be used for income as a sort of portfolio insurance. If you want some more individualized advice, shoot me an email via the “Contact Me” menu option at the top of the page. I have had since 2006 a Hartford Liftime Income Builder annuity. Now Hartford wants me to make some changes on this annuity by Oct. 4th that I am not happy with,,neither is my Finalcial advisor. My advisor has suggested Jackson Mutual. What do you think? It’s impossible for me to say exactly what you should do because I don’t know the specifics of your situation, but here’s what I can say. The Hartford is forcing individuals to change their allocations or else they will lose their benefits. The Hartford is doing this because prior to the financial crisis the terms of their guaranteed income riders were too generous. They now have huge income liabilities that they must cover. 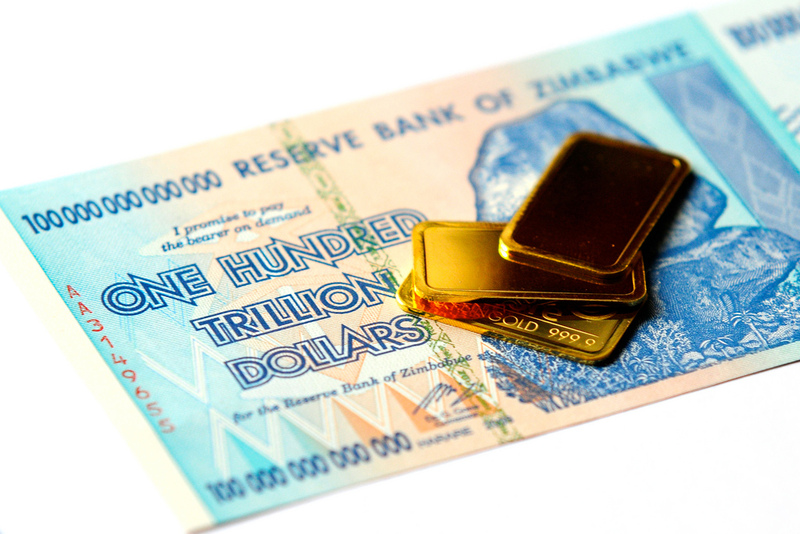 They are forcing investors into more conservative portfolios so that the protected income balance grows at a smaller rate and therefore when investors annuitize they will have a lower income base on which they must calculate the guaranteed withdrawal provision. Changing annuities will reset the amount of time you must wait before you can annuitize and reap all of the benefits of the return guarantees. Additionally you will lose any protected income balance you currently have in your Hartford account because these are separate from the annuity’s cash value. So at the end of the day it really depends upon the state of your contract and how it compares to other annuities. If you’d like some more personalized help, shoot me an email via the contact me page or give my office a call. On the Lifeguard Freedom 6 DB series there appears to be a 200% step-up to the GWB, provided you have not made any withdrawals up to your age 70. Does that not make your payout 10% of your age 70 GWB, which would seem pretty decent? I don’t have the Lifeguard Freedom 6 DB prospectus in front of me at the moment, but for both the Lifeguard Freedom Flex and the Lifeguard Freedom 6 Net the It’s the later of the 12th anniversary of the contract or the 70th birthday of the investor. You also need to look at it in terms of compound interest (interest on principal and earnings) not simple interest. Using compound interest the internal rate of return for the 200% step up after 12 years is 5.95%. So, for example with the Lifeguard Freedom Flex if you pick the 6% or 7% bonus values, the 200% step up will never be used because the guaranteed rate of return for the income base is 0.05% higher for the 6% bonus and 1.05% higher for the 7% bonus. Thank you for your in depth look into the JNL VA, as you obviously hope to better inform your readers. I do have a few concerns though, and hope you can straighten me out. 1). Why did you choose the S&P in your spreadsheet? Is that ethical, and are you certain no FINRA rules were broken in your representation of actual “nominal” returns within this Variable Annuity. You obviously have access to the sales and disclosure materials. I must ask why you chose not to save a lot of time, and just have the company run a hypo for your project, USING REAL PORTFOLIOS or investments within the actual sub-accounts offered? I kept waiting for you to address in both your blog and vlog, but you glossed right over it. 2). You are aware there are managed portfolios within JNL, which are managed via Ibbotson? Not everyone investing in these vehicles plan to be 100% equities are they? I hope not, especially retirees, who would most likely look at this type investment. In fact, I am curious if that is what you are insinuating you do, since YOU decided to do this service to humanity. I think any professional who manages money for a living, knows about suitability, risk tolerance, or the “know your customer” rule. I am gonna give you the benefit of doubt, and and save you the time of explaining how the sub accounts don’t have a long enough track record to fit in your projections, but to say your analysis is misleading is putting it VERY lightly. Sub-accounts, especially those actively managed, would change your ENTIRE data thesis, blowing away your entire assertion. 3). What were you doing in 2008 and 2009? How many family’s were relying on you to help them avoid losing all their money? What were your returns? When did you move to cash with their money, or go in heavy defense mode? More importantly, WHEN DID YOU GET THEM BACK IN? Did you miss the last half of gains in 2009? 4). What about all these folks who asked about investing at a younger age? Why haven’t you responded with another hypothetical closer to their request? I am getting a little worried you might be biased towards these investments, but will assume you aren’t lying about your reasons of spending INCREDIBLE AMOUNTS OF TIME, modeling them. 6). In your scenario, is the person or people in the accumulation phase, or the income distribution phase of life? I am assuming the former, due to your most aggressive possible investment choice. 7). Are you able to see all the false negatives in your argument yet? I am gonna stop here,bc I think the point is made, and end with this. You are irresponsible at the least, and a wolf in sheepskin at worst. Nothing makes me angrier than when people base what would otherwise sound most intelligent and plausible, off of totally set up misleading factors. That is so wrong for so many reasons. Anyone who goes so far as to, infer an entire segment of the investment population not look for all options to protect themselves in markets full of algorithmic giants we see today, raises my BS meter. I hope you prove me wrong. Thanks for the reply I always enjoy critical analysis of my work. 1.) I chose the S&P 500 because it has the longest dataset available, with good data going back to 1926. I wanted to stress test the annuity against various time periods and economic conditions. (Rising interest rates, falling interest rates, the Great Depression, etc.) These types of annuities have not been around very long, so using the actual sub account data would at most allow me to test this back into the late 90’s. That’s just a thin slice of time, so it wouldn’t be representative of most economic conditions. Most of the hypothical returns insurance companies give are limited to a specific time period. When analyzing a time series of returns for an investment, the cumulative returns are highly start and and end dependent. So it can be easy to cherry pick the data. I wanted to show rolling returns across a wide range of economic conditions, so that’s what I did with the stress tests. I also have a predilection for skepticism and questioning everything. If I want to know the answer to why something works, I’ll try to devise an analysis of my own to verify it. This goes along well with my duty to my clients, that I fully understand any products before recommending them. In your second point you mention not everyone will be 100% in the S&P 500, which is true. However, these annuities work best as a transfer of risk from the investor to the annuity company. Unlike other companies JNL does not require an investor to purchase conservative securities in the portfolio. Therefore, to optimize the transfer of risk from the investor to JNL an investor should invest heavily in higher risk/return securities, such as stocks. This should help increase the protected income base at a higher rate than a more conservative portfolio. Therefore, I used the S&P 500 rather than a 60/40 portfolio because during my tests the 100% S&P 500 portfolio offered the best case scenario in terms of real after inflation returns. In today’s low yield environment, the high fees on a conservative portfolio would further inhibit growth of the accumulation account after fees, which would decrease the possibility of increasing the protected income balance. I was trying to be unbiased here by showing the best case scenario from my testing. See my answer to 6 for more info on this. 2.) Your assertions are not backed by empirical data. There has been much research done on active mutual funds in terms of their net performance after fees. Many active mutual funds have been shown to underperform the index. Here’s a good article on the topic http://www.dfaus.com/2009/05/active-vs-passive-management.html I also did a post about hot mutual funds here.The annuity is already a risk management tool with high fees so it doesn’t make sense to add in additional high fees from active funds for further risk management. Risk tolerance and knowing your client are important within a complete financial plan, however, looking at one microcosm of it (the annuity) and extrapolating that to be the entirety of the investor’s portfolio is fallacious thinking. These should be used as a piece of a portfolio for risk management purposes, not for growth. Risk tolerance and knowing your client are important, but they should be used with the empirical analysis of data when we have the option and ability to do so. I typically don’t like to go this route, but you mention suitability as well, which for fee-only planners like me, can be a topic of contention. So, for those who aren’t well versed with the legalese of our profession, suitability basically means you can sell a product to someone if could work for their circumstances, even if it’s not in their best interest. When someone sells an annuity they are bound by the suitability standard. However, most people confuse suitability with fiduciary. Fiduciary is the higher standard, which means that the advisor must act in the best interest of the client. Fee-only advisors (all of the time) and fee-based advisors giving advice(i.e. when they aren’t selling commission based products) are bound by the fiduciary standard. This is not to say that all annuity salespeople don’t work with their client’s best interest in mind, I’m sure there are plenty of honest annuity salespeople out there. It’s just important to understand the distinction and the legal protections of each. 3.) Well that’s an easy question, if you peruse my About Dieter page you can see I was at Virginia Tech studying financial planning. So, I was not advising clients during the financial crisis. My mentor, the principal of our firm weathered the storm with his clients (he really just saw it as a time when all stocks were on sale for bargain basement prices), but I can’t really see how all of this pertains directly to this annuity review. It really just seems you trying to sling mud at me for my age, which is odd because knowledge of how an annuity functions doesn’t come with age like gray hair, it comes from studying the contracts. Anyway, knowing my limitations and when to seek help and learn from others’ errors is a strength of mine. 4.) Younger investors do not have the lifetime guarantee active until they are at retirement age. I had considered making a video for those under retirement age, but other projects have come up. Most people looking at these annuities are around retirement age. I’m happy to run through the numbers if anyone wants to get deeper into them. 5.) If the investor already has after-tax funds in a brokerage account and they plan on using those funds to bridge the gap between early retirement and retirement age, it makes little sense to invest that money in an annuity. Especially an annuity that has the specific purpose of protecting a lifetime income stream after holding the annuity for 10-12 years. If they are extremely risk averse they could just stick their after-tax funds in a portfolio consisting of cash, short term income securities, and laddered bonds. There would then be no need to use an annuity’s 10% withdrawal provision. Alternatively, the could utilize the Internal Revenue Code Section 72(t) exclusion for substantially equal periodic payments to avoid the 10% penalty levied on IRA withdrawals prior to age 59.5. Additionally, the variable annuity does not protect the surrender value in the same manner that it protects the protected income balance (guaranteed benefit balance). Any short term investments within the annuity would be subject to the same market volatility as an investment made outside of the annuity. 6.) Annuities should not be utilized by following a glide path or some other rule of thumb for investing an investor’s portfolio near retirement. You should maximize the utility of the annuity to the investor. An annuity with an income rider is not an accumulation tools. It is an income tool which is used to provide an investor with portfolio insurance. Therefore we should maximize the utility of the portfolio insurance, which is the protected income balance (also called guaranteed withdrawal balance or guaranteed benefit balance all of these largely refer to the same balance) of the annuity, which is separate from the money you can walk away with, the surrender value of the annuity. In the case of this annuity, my analysis determines that you are more likely to maximize the utility of the annuity, i.e. the guaranteed stream of income; you should place a larger allocation in stocks. 7.) It is the disingenuous salesmanship and the misinformation that comes with selling annuities that I take issue with, not annuities themselves. Annuities have a place in some investment strategies. It’s all about how you structure them and the client’s expectations about how the annuity actually functions. Because of JNL’s lack of restrictions on the investments within the account, this annuity is actually better than a lot of others out there. But people need to have a realistic view of how these work. Many people believe the 6 to 8% guaranteed returns refers to the cash value of the account, having been lead to believe they can walk away with those step ups after 10 years. In reality, the guaranteed returns refer to the income base, which does not have a cash value, but is used to calculate the guaranteed withdrawal amount. That’s not the right fit for a lot of people, but it is for some, so educating an investor about how these actually function is very important. I finally got around to watching the Video and it helped a little to demistify this Lifeguard Freedom 6 DB. The total fees on this are 1.6% for the M&A and 1.55% for GMWB withdrawal and GMWB DB, with I guess a step up to the GMWB withdrawal fees at year 5. So 3.15% total fees. 1) What is a little confusing to me is exactly how the death benefit rider works. Does the death benefit start decreasing once you start an income stream? I think I understand what happens if you annuitize, you have choices like any annuity on survivorship, but it seems there a lump sum option for say the children of the spouse if the DB option is kept intact, if so how much? 2) In your Video you talk about 20 yr & 30 year terms, is this after the 10 accumulation phase, if so how are the results affected by a 15 year accumulation phase. 3) Seems like you model is based on not annuitizing the contract, is this always the best option? Does a 15 year accumulation change it at all? 3.) The model annuitizes the contract after 10 years or if the 12 year guarantee is higher, after 12 years. This is due to the fact that the guaranteed bonuses stop after 10 years and the retiree is 65 in my example. Based on my tests a 15 year accumulation phase tends to decrease returns from the GMWB rider over 20 and 30 year periods because you wait longer to annuitize and therefore it takes longer to breakeven. However the 20 and 30 year total returns (if you plan to cash the annuity out at some point, which somewhat defeats the purpose of the rider) are slightly higher, in the neighborhood of 0.5% higher. What would happen if you withdrew the same dollar amount from the SnP as you do from the annuity? Can you run one for me that shows apples to apples? Or, if easier Is it possible to reduce the amount you take from Annuity to match the SnP? 2. There is also playing on the fear of there being no money left, which goes away with the different income amounts. Usually you can pay an additional fee to add a death benefit or just take out a life insurance policy if one really wants to pass money on. 3. The “Portfolio” ROI is invested directly in the S&P. One cannot invest directly in the S&P, so there are fees attached. If one was to take this approach, there would usually be about a 1.7% fee, making the Portfolio return lag. 4. People in the market for this annuity would not be getting market like returns, further skewing the results. I haven’t watched the videos yet. Does your review and analysis apply equally to the Lifeguard Freedom 6 and Flex products? Our credit union enrolled my wife in the Freedom 6 09/09 plan. I’m not convinced this is a good idea as a sole investment. But since I see “Flex” mentioned in the article, I want to be certain I’m reading about the correct product. Thanks for the article. For those above or for anyone investing for their retirement, use Vanguard for annuity investing, if you must own an annuity. Today you may buy a “pay out fund” at Vanguard which accomplishes most of what an annuity does without the complex rules. This is a balanced fund and it’s systematically liquidated at 4%. Not mentioned is that years ago, tax treatment of annuities was better compared to mutual funds. Today a mutual fund that is tax efficient may be a better alternative. Since the total fees of my Vanguard Total Stock Market Admiral shares is 0.05% (not a typo), I see no advantage to paying 3.3% or more to Jackson for some “guarantees.” I’ll take the money instead. What is the real only advantage of a variable annuity? The contents of it and your IRA are immune from civil judgement. I have a cd coming due in November. A representative from Jackson National Life presented to us an annuity named Max One that would pay over the 6 year period 2.23%. I can purchase a 5 year cd at our credit union that pays 2.20 APY. If the rates go up, you can bump your rate up (after the 1 year anniversary) one time a year. I feel that the cd is the best option for me. I am 66 years old & my husband is 73. We do not want to be in the stock market anymore. What is your opinion? At current interest rates, if you don’t wish to be in the stock market, your portfolio is going to have a tough time surviving in the long run, but things may get better soon. It’s likely, once the Fed begins putting pressure on short-term interest rates next year, that we are going to be in a rising interest rate environment. So rates on CDs, bonds, and annuities will likely increase in the next few years. A CD will allow you more flexibility than an annuity over the next few years as you can keep rolling over the CDs into higher interest rate CDs. A few years from now annuities may offer more attractive long term rates & features. Target Maturity Date Bond ETFs (you could look these up on ETFDB.com) that are held until maturity would also be lower risk and help you do the same. If you have any more questions you can book a free financial strategy session by using the link in the sidebar and I’ll walk you through your options. As someone who knows this product intimately first i want to say you referenced several calculations and features incorrectly. Also, the income you ultimately receive from the annuity even by your own erroneous calculations far outweigh the meager income received from the straight stocks portfolio also you clearly did not account for the fees clients would pay to someone such as yourself to manage a stock portfolio nor fees for the fund itself.nor did you mention that given there were no underlying protections while invested during such a market downturn,the likelihood an investor would be able to stomach such a stock heavy portfolio and remain invested is fairly unlikely especially as they near retirement. How about the compounding. Effects of tax deferral? ?talk about an incomplete representation. The calculations should be correct as of the date the video was posted. However, I’m always open to critiques of my work, but I can’t improve anything if you don’t identify which calculations you believe to be in error. So if you would identify the alleged errors, I would be happy to discuss them with you. This is a 100% S&P 500 allocation to help maximize the benefits of the income rider. A 100% allocation to a tax efficient S&P 500 ETF that was held for 10 years would realize few taxes along the way. Therefore, the benefits of tax-deferral would be low, as in this case it’s just a buy & hold example. Again this is a 100% S&P 500 portfolio, an advisor would not be managing a 100% allocation to the S&P 500, therefore it doesn’t make sense to add in advisor fees. ETF fees for an S&P 500 ETF are so low (between 0.05% and 0.09%, depending on the company) they would not have had a material impact on the conclusion of the review. Smart risk management techniques are necessary in the portfolio, but showing a tactical asset allocation portfolio, options strategy, or other risk managed strategy would not be an apples to apples comparison. Showing the difference between returns, ending values, and risk with the Jackson Annuity and without the Jackson Annuity is a much more fair comparison. The point of the annuity review is to educate people about the annuity so that they have a better idea about how it performs through time before they purchase it. If someone is aware of all of the facts prior to purchasing such a contract, I think they’ll be happier in the long run because reality is more likely to align with their expectations. Do you think if you added your 2% management fee and matched dollar for dollar the withdrawals from the annuity with the 100% stock portfolio that your stock portfolio would have gone to $0? When the 100% stock portfolio goes to $0 how much can the investor then withdraw each year? Thank you. I wouldn’t add my management fee to a stock portfolio that was 100% invested in the S&P 500, as you could easily do that yourself with a brokerage account. A 100% allocation to the S&P 500 isn’t worth 2%, it’s worth the 0.05% that several ETF providers charge for an ETF invested in that index. I charge 2% because I build proprietary trading strategies that seek to reduce risk and outpace market growth. So it’s not an apples to apples comparison. I do set the income withdrawal rates to the same percentage of assets for each portfolio. The annuity’s original income is higher during a recession because it is based on the income base rather than the actual value of the account. However, if I were to set the income withdrawals from the portfolio equivalent to the annuity’s ($10,743, the annuity’s withdrawals never increase in this example due to the funds being depleted) the 100% stock portfolio would last until year 30 with around 1 year’s worth of withdrawals left, rather than being depleted in year 14. In the scenario I used as an example, I illustrate one of the best times to have an annuity (during a market panic and recession) versus the stock portfolio. I’m also using a 100% allocation to stocks in the annuity because it’s allowed and it allows the annuity to grow its income base more quickly, rather than the more typical allocation which includes bonds and less risky assets which do not increase the value of the income base as much. In better times the stock portfolio income payments will outpace the annuity because the fees act as portfolio insurance against a market crash. By no means do I think an all stock portfolio is the best way to invest, it’s really isn’t. This review aims to show how the annuity protects income during the times it was designed around (protecting income during recessions) and how that compares to the equivalent investment outside of the annuity. The annuity will continue to pay out its guaranteed income after it depletes the cash value of the account, but it simply depletes the cash value faster than usual during recessions, so the likelihood of increased step ups after the bonus period is low after a portfolio experiences a recession in the early years of the contract. I have the Perspective II with 7% quarterly step up. I started 2 1/2 years ago with a little over $100,000 and am up to $143,000. I think that’s pretty good! I’m happy that you are pleased with your investment! However, considering that it’s a short sample size and we’ve been in a remarkable bull market, the returns are understandable. This annuity will simply return the investment returns minus fees. Since pretty much every market has been booming the past couple of years, any type of investment that is linked to the financial markets will have done well. I just want investors to have realistic return expectations for this or any other annuity. Insurance companies need to make money after giving guarantees, so they simply can’t offer the 7% guaranteed returns many people think they are offering (it’s actually used as a calculation for the income rider, not the value of your portfolio), it would be untenable. That’s not exactly the insurance company’s fault, it’s just that the products have so many moving parts it’s often difficult to tell how they work. For this annuity, over a 30 year period the returns a 60% stocks and 40% bonds portfolio might experience after fees are likely to be in the range of 2% to 3.5% for the income rider only and 3% to 5% for the total portfolio. Of course, some periods will be better, some worse. Some investors are perfectly happy with that. Mr. Scherer, thank you very much for the informative article and videp on VA. One thing I am still unclear is if this applies only for someone at the retirement age? How do these considerations change when someone is in early forty’s and interested in moving their 401K into Jackson VA. Should they completely stay away from annuities or it will actually be beneficial to move a part of their 401K into Jackson VA? Someone in their 40’s would likely be better served with a portfolio that is more geared towards growth. Annuities are insurance products and should be used to create a minimum income that can help support your basic needs during retirement. Because they are insurance products, they are not the best growth vehicles. An investor in their 40’s who wants guaranteed lifetime income during retirement would likely be better served by investing in more growth oriented strategies (value stocks and possibly some more aggressive tactical asset allocation) until retirement and then invest part of their portfolio in a fixed annuity at retirement. We’re currently at historic lows for interest rates. 10 to 20 years in the future, interest rates are likely to be higher and fixed annuities would likely offer more attractive fixed interest rates. If you are concerned about risk in your portfolio, check out my article on building a risk aware portfolio with tactical asset allocation. Thanks for the most informative article I could find on this particular annuity! From what I learned I regret transferring my entire 401K (~$400,000)to this annuity. The carrot was the 6% step-up which I totally misunderstood. In fact, nothing was really explained in detail by my commissioned Financial Adviser. I’m now considering getting out of this and taking my lumps. I joined this plan in August 2013 after retiring at 63. I self-directed my 401K and was very happy with the return. My question is this: Which methodology would be the most beneficial way of getting out of the Annuity, if any? Would transferring all of the money into JNL equity funds be the best way to potentially realize the highest gains because the risk would be less due to the 6% provision? You’re quite welcome! I’m glad it was so informative for you. You have a few possibilities. If you’re considering getting out of the annuity you’ll have to really look at the opportunity costs. The 10% Free Withdrawals allow you to remove some money from your annuity each year, but only removing 10% subjects you to continued fees on the remainder of the account, for features you’ll never use. If you surrender the annuity, you’ll pay the corresponding surrender charge on it and will then be able to invest as you wish within an IRA. You should only consider this if you want to invest your portfolio in a normal portfolio without guarantees. If you just plan to invest it in another annuity, then the best course of action may be to stay put because most annuities will have similar features, regardless of how different they look. The other option you mention is to commit entirely to increasing the lifetime income base of the annuity so that you can grow the guaranteed income as high as you can. Should you wish to stay in the annuity,this would be a more volatile strategy (but you have the guaranteed income to fall back on), but it is more likely to bump up the lifetime income base. The goal in this case would not be to ensure the survival of the portfolio at the end of the investment period, but to maximize the amount of guaranteed income you can generate from the portfolio. What are your thoughts on the Elite Access VA’s from JN? I believe these do not have income riders. I am considering this product because it gives me access to actively managed funds that would not otherwise be at my reach. For the most part, the major benefit of purchasing an annuity is the guaranteed income riders that are now available. If you’re not looking to purchase the guaranteed income options and instead are just going for the actively managed funds that are available in the Elite Access, you have a number of options outside of annuities. The funds available in most variable annuities start with higher fees than those outside of an annuity. Once you tack on the fees of the annuity itself, you’re often looking at fees in the 3%+ range before you add on any other fees. This creates a drag on your portfolio that is tough to make up for. If your portfolio is taxable and you’re looking for an annuity that acts as a tax shelter and offers active management, there are some better options out there. On the other hand, if you’re interested in actively managed strategies, hiring a portfolio manager (like me) who creates custom portfolios for your unique needs may be a better option. I’ve leveraged the scalability of technology to create custom quantitative strategies that offer institutional wealth management to individuals. Generally, an account needs to have at least $100,000 so it can be diversified across the various strategies. Book a financial strategy session with me using this link, Book Appointment, and we can walk through your current financial situation and see what might fit you best. Thank you for a thorough analysis. I have been working with a financial representative for several months to understand the details of the Jackson Perspective II annuity. During the income phase there is also good downside protection on the income base and the death benefit. If the withdrawals are 5% or less each year, the income base and death benefit would never decline. – For years when the investments in the sub-accounts increase in value by more than 5%, the income base and the death benefit increase by the growth minus 5% (e.g., if the investments grow by 9%, the income base and death benefit grow by 4%). – For years when the investments increase by less than 5% or decline, the income base and the death benefit stay the same. This is true even if the investments declined by large amounts, say 30% or more. – If the growth exceeds the withdrawal, the income base and the death benefit increase by the difference (e.g., if the growth is 9% and the withdrawal is 8%, the income base and the death benefit each grow by 1%). – If the growth is less than the withdrawal, the death benefit always stays the same. The income base goes down by the difference between the actual withdrawal and the allowable 5% (e.g., with a withdrawal of 8%, the income base goes down by 3%, even if the investments went down by any amount more than that). The results of your spreadsheet shown in the video would be much different if these claims by my representative are true. In bad investment years the income base would never go down if we withdraw 5% or less. The death benefit would never go down, so long as the account value is one dollar or more. In good years there would be modest growth in the income base and death benefit. The fact that the death benefit would never go down puts a large future value in the income stream (albeit for the beneficiary), which would change the total return significantly. Do you think that your spreadsheet needs to be modified, or do you think that my representative is misstating how the Perspective II annuity works? I have pressed him on these points, and both he and his manager have confirmed what I have stated here. Thanks I’ll try to answer each of your questions in turn. That’s incorrect, the yearly bonuses, step ups and 200% 10 year guarantee do not affect the contract value of the account. They only affect the income base. You cannot make a lump sum withdrawal of the income base, only the value of the underlying value of the subaccounts, which are not increased by the bonuses. The only increase to the contract value of the account comes from contract enhancements between 2% and 5%, which cost a further annual fee of between 0.395% to 0.695% and a further recapture charge in addition to the surrender charges. A contract enhancement can only occur at inception and when new premiums are added to the account. The contract enhancements can sound the same as a bonus, but the bonuses do not add any returns to the value of the subaccounts, the sum of which is the contract value. The prospectus I’m looking at has examples of this in Appendix D.
The calculation for the income and the income base is correct, the way it’s displayed however can be a bit confusing. I should have shown the rolling high water mark of the income base, instead I show the rolling calculation of whether to increase the income base. The income is calculated using the maximum value that the income base has ever been, this is the income base behind the scenes. You can verify this because the annual income stream in the income column never goes down and only goes up, based on higher maximum values of the income base. Anyway, the correct calculation is already built into the spreadsheet, it’s just shown a little less intuitively than it should be. The highest value of the income base is simply saved in a different (hidden) cell. What you see in the video is the running calculation of the spreadsheet that’s essentially asking if the maximum value of the income base should be bumped up to a higher maximum value. If the running value of the income base net of withdrawals exceeds the previous high water mark, the income is adjusted upwards to a new high to reflect that. The income never goes down because it’s always based on the highest value that the income base has ever been. So, the calculations are correct, the income base that the income distribution are based on never goes down, but the running value of net of withdrawals (which is the value to determine if you get a step up) does go down. That’s what you see in the video. But the calculation would be the same regardless of which column is displayed. The way things are set up, even if I disable any income withdrawals from happening in the column that you do see, there is zero impact on the resulting income stream because there are no bonuses applied to the GMWB during the income period. Hope that answers your second question. The model’s calculations are consistent with the parameters that you stated. In much of the sample periods if there is a recession, the account value falls and the high income withdrawals (which are locked in due to the rider) deplete it further, making it harder to get back to even. This makes it difficult for the income base to get a step up after the income turns on in many of the sample periods. The ability to continue growing the income base during retirement assumes that the contract value is close to the income base. This happens in some periods (1980 to 2010) but not in others. The example I showed in the video was just above the 50th percentile for the 20 year real returns on the GMWB. No death benefit is included in the model that i show in the video as it’s based on the Lifeguard Freedom Flex without the death benefit. The death benefit would add higher fees so the total return would be lower until death at which time, yes the death benefit would give it a boost. However it would be from a lesser total return due to the fees. The death benefit would also have depreciated in value due to inflation so the impact in real terms would be lessened. Hope this helps. I wrote this quickly as a stream of consciousness, so if it needs some clarification let me know. You are a deceitful individual. I’m a trained actuary who owns a couple of different annuity contracts. The jackson flex db combo is a great deal for clients who are under age 71. Particularly phenomenal for those who can not get life insurance on their own. You can invest $500k in it, make $300k in withdrawals through the guaranteed income benefit, pass away while the account value only has $25k in it and the beneficiaries will get the ENTIRE $500k back to them lump sum as a death benefit. You purposely chose to omit the number one reason this contract is sold in the industry: The combination of both income and death benefit. These benefits by the way are net of fees! 6% growth, 5% income, 100% of my premium back as a death benefit to my kids as long as i keep one dollar in the contract. Most insurance companies can not offer that combination of protection, I looked everywhere. Your are spreading fear and pretending to be a throrough analyst. I had high hopes when I started watching your video. Most managed portfolios charge 1% to the advisor plus the cost of funds. So you’re looking at a minimum of 2% fee drag for any balanced managed portfolio. You however, chose to compare an annuity with fees vs a managed portfolio without fees. You should be more transparent. Also, at most reputable firms: Merrill Lych, UBS, WellsFargo, Morgan Stanley, Smith Barney, most advisors don’t get paid 7% in fees either, they typically choose 1.5-2%% upfront with a 1% managed option to supervise the investments. Most people I speak with want to purchase annuities like this do so for the guaranteed income rider, not the life insurance. The life insurance is a feature they might add after they’ve made the choice to buy the annuity because of the guaranteed income benefits. Life insurance requires you to die to get a return on your money. That’s not an investment, it’s simply insurance. Therefore, when I am evaluating an annuity for the purpose of generating income in a portfolio, I do not not include life insurance. Adding life insurance into the return analysis here would be akin to asking what the return of a 60/40 portfolio would be if you bought a whole life policy. The return on the 60/40 portfolio would be the same, but you would have less money to invest due to the premiums and then your heirs would receive the payout when you die. But it does nothing to illuminate how the income rider functions nor how it might compare to other alternatives (immediate annuities, bond ladders, balanced portfolios, other annuities with income riders, etc.) If you don’t have a uniform method of analysis, comparisons become obfuscated and often serve only to increase confusion. Life insurance can be very important to a client’s financial plan but it should be compared to the cost and availability of other life insurance. I didn’t write this article to evaluate it’s potential as life insurance, I wrote it to evaluate its ability to provide an income stream while maintaining exposure to the market. The investment I compared it to was the S&P 500. An S&P 500 ETF costs around 0.05%, not 1% because there’s nothing to manage, it’s just one buy & hold investment not a managed portfolio. Financial salespeople get to choose whether they want a large upfront commission some range from 5% to 7%, or a smaller commission with a trail as you mentioned. Either way commissions can vary between products and it’s important to be cognizant that an agent may earn more commissions from one product than other. It’s simply important to know that there is a conflict of interest, even if they don’t act on that conflict of interest. I’m pretty transparent about my fee schedule, it’s posted on my work with me page. I invest using quantitative (based on statistical formulas) strategies, so I don’t use mutual funds and the investment strategies are developed in-house. I use individual equities and low cost ETFs (for market-level exposure) depending upon whether it’s a value oriented equity strategy or a tactically managed ETF strategy. So, a majority of the other layers of fees are cut out. Therefore, for clients under $1,000,000 I charge 2%. For clients with $1,000,000 and over I offer a 0% asset-based fee and a performance fee that is only levied after certain requirements are met. Any losses in the account must be made up before I can earn any fees and each year I do not earn performance fees until the return on the account exceeds 6% over the previous high water mark in the account. After that point I earn 25% of the profits. There is a small $2,000 minimum that is deductible against any proceeds I earn at the end of the year. Very interesting. I have had a Jackson Annuity for about 4-5 years and it has performed extremely well. I am very happy with it in my IRA. I think I bought it when the market was at a low so I am sure that helped tremendously with its performance, about 60% higher in that time. I’m glad that you’re happy with your purchase. Yes, buying low helps tremendously. Additionally, we’ve been in a bull market since the market bottom in 2009, so extrapolating the current market into the future wouldn’t be the best idea, which is why it’s important to evaluate many types of market environments. During boom times the annuity will increase by market minus the fees, which amounts to premiums for the income insurance you receive during bust times. Therefore, the best time to stress-test an annuity is actually during recessions where the annuity should be able to shine against other types of investments because this is what it is designed to protect against. Additionally, the biggest problem that most variable annuities with income riders must overcome is once withdrawals begin. Between the fees and the large withdrawals that can occur during recessions (selling low to fund the withdrawal) the survival rate of the portfolio decreases precipitously. So in such cases you have a guaranteed income, but a decreased rate of portfolio survival. As demonstrated in the video, in many periods the withdrawals increase to some point and then never increase again because the portfolio cannot keep up with withdrawals. This can cause the income’s purchasing power to erode against inflation through time. So I believe it’s important that annuities like these are not the only investment in a portfolio and that you have some other growth oriented investment that can help the portfolio as a whole outpace inflation. Annuities can provide peace of mind, but should be part of a larger whole. Why do you withdraw less income from the 100 % stock portfolio than the annuity? You claim to want to be as unbiased as possible but then skew the numbers by taking max income from the annuity and only minimal stock sales to generate the stock portfolio income. That is NOT a fair calculation comparison. You also do not include your advisory fees of 2% being deducted which is disingenuous. The reason you can develop this video presentation is because you charge fees of 2% per year while deriding the advisor who makes 6% or 7% one time over the course of the life of the annuity. Presuming you’ve made 2% per year for the 7 year contract you’ve made 14% while the annuity salesperson has only made 7%. Using your 1929 falling market example, you are charging a 2% fee per year to lose money for your clients while offering no protection against the declining market. Since you were in college during the Great Recession of 2008-2009 you have little wisdom to offer regarding human nature and the likelihood of humans to sell at a market low instead of staying fully invested in the annuity because of the income protections it affords. With legends of clients jumping off of buildings and people having lost everything in failed banks in 1929, what is the likelihood that your client continued to pay a 2% management fee and stayed in a 100% stock portfolio after continuous successive market losses? I used the same distribution rate for both the annuity and the portfolio, I think that’s fair. The annuity has a guaranteed income rider so it will act differently. I used the guaranteed income value of the annuity rider to determine the amount of income to withdraw from the annuity each year. As I said above the starting distribution rate for the portfolio is the same % of assets (or % of income base for the annuity.) Due to its fees the annuity would be at a disadvantage if I used the same income distribution method for both the portfolio and the annuity. The annuity has a guaranteed income rider, which is a major component of this review, so I included it. I also don’t deride advisors that sell commission based products, it’s just one way of getting paid. I dislike it when the compensation arrangement is not transparent. I dislike it when individuals do not fully understand the products they are purchasing. If someone chooses to purchase a product after having all of the facts in front of them as to how their agent is being paid and how the product actually works, then there should be no confusion down the road and all parties will be happy. The initial distribution rate on the annuity was higher because at the time it was using the higher income base (which benefits from the bonuses) instead of the account value. That’s how it’s designed so that it can protect client income. However, this higher distribution rate also tends to cause the account to become exhausted earlier, simply because the market returns cannot keep up with the fees + withdrawals. So while it depletes the account faster, it also offers the guaranteed level of income that the client wanted. This may end up offering very low (or negative) real returns over a 30 year period, but that is a tradeoff a client should consider before purchasing the annuity. It currently costs 0.05% per year to own an S&P 500 ETF. No honest manager would charge 2% a client to hold only an S&P 500 ETF. I would also not charge 2% on a buy and hold portfolio in general. Anyway, I’m not comparing the annuity to a portfolio that I run. I’m comparing a 100% allocation to stocks inside the annuity with a guarantee to a 100% allocation to stocks outside the annuity with no guarantees. I don’t run a 100% stock portfolio, nor do i use the S&P 500 as the primary stock allocation for my clients. Again that 100% stock allocation was used because it’s possible to use such a high allocation to stocks in the portfolio and I did not want to be accused of NOT using the allocation that would benefit the annuity the most. I’m still being attacked for not being objective, despite going out of my way to do so and show the annuity with an allocation that is designed to increase the income base and thus the guaranteed income amount, the most. I run quantitative strategies that invest in both individual equities and proprietary tactical asset allocation strategies that aim to reduce the chance that a client would lose money in the markets in the first place. I seek to preserve assets while generating income I just go about it in a different way. For my fee, as a CFP, I also offer comprehensive financial planning on all financial aspects of a client’s life. Additionally, for 1 million and over clients I charge no asset based fee and I’m not paid (beyond the small account minimum) until any losses in their portfolio are made up plus their account has grown 6% over the previous highest annual value of their account. I can appreciate where you are coming from, but ad hominem attacks do not invalidate the analysis of the annuity. Talking my clients out of making the wrong decisions would be between me and my clients during the next recession. 1929 should actually show the benefits of using the annuity versus the stock portfolio as the annuity is built to guarantee income should the annuity plunge in value. The fees on the annuity and the guaranteed income rider only serves to be a drag on the portfolio during boom times. Their real benefit is during recessions. See the answer to Concetta’s comment for more information. Is there a CFP in the Sedona, Arizona or Reno, Nevada area you might recommend? I’m not familiar with anyone in that area so if you would like to work with someone locally I suggest you check out the NAPFA planner search or search the CFP website for fee-only advisors (click advanced search to get more options, including the preferred method of compensation). I actually exclusively work with clients across the country through web conferencing. So, if you’d like a no-oblgiation free financial strategy session to speak further about your current goals and what your options are moving forward, you can schedule one by booking an appointment here. With the Lifeguard Freedom Flex (like most riders) you are not penalized for taking out RMDs, so it does not count as an excess withdrawal if your RMD is greater than your guaranteed withdrawal amount. It just lessens the ability of the annuity to grow, so you’re less likely to get any step-ups from account growth during the withdrawal period. Yes, the 5% is withdrawn from the contract value along with the fees. The guaranteed withdrawal balance remains level, but you can’t withdraw that as a lump sum, it’s just there to calculate the guaranteed withdrawal amount. It’s difficult to say whether it’s a good choice for anyone without knowing their situation. It really depends on their other income streams, what percentage of their portfolio is going into the annuity versus outside of the annuity, their risk tolerance, and what they are really trying to accomplish during their retirement. If you look at the average scenario (the median result), most of these annuities with income riders have a tough time producing income that keeps up with inflation, just due to the way they are structured. So it’s important that a retiree does not put 100% of their investments in an annuity like this. Just realize that on average the returns on these aren’t going to be great, so if he purchases it knowing what to expect and combines his annuity with investments outside of it to keep up with inflation, he’ll at least better protect his purchasing power. This might not be a good fit for someone who is going to take withdrawals immediately because much of the benefit of an income rider with bonuses is the bonuses during the accumulation period. The bonuses are only credited if you don’t take withdrawals, so by immediately taking withdrawals you skip out on those benefits. This is response to Joe’s post on May 12 2015 and John’s post of March 2015. Like John, I put some money into the Jackson variable annuity with the death benefit option. As John said, I consider it a great deal. I have a guaranteed income of 6% of the high water mark, starting at age 75. And if I kick off, my heirs get every penny I put in, assuming that I have not withdrawn that much. In other words, at about age 93 I will have withdrawn almost my entire contribution amount, but instead of taking that last withdrawal, I can ask Jackson to give me all my contributions back, thank you very much. If I die before then, my heirs get all my contributions back. Regardless, it is a good deal for my hears, they will never have to worry about grampa not having an income, as with the Jackson payout, social security plus a small pension, we can live comfortably in our paid off home for many hears to come. Thank you for all the work you have done on this product, but I believe you could write it up differently, considering the death benefit feature, especially for old folks like me, who could well be living for another 20 years. whoops, sorry about the mistyped words. In the 2nd to last paragraph, the first “hears” should be “heirs”, and the second “hears” should be “years”. Early in your review of the Jackson Perspective II Annuity you comment that no retiree would put all of their assets into stocks. Then you stress test using an investment 100% in SP 500 as the reference. Further, I suspect (?) bond performance in current and recent years has been much poorer than in earlier years because of artificially depressed interest rates. While I suspect a less aggressive allocation reference (say the 60/40//bonds/stocks you used) would still out perform the annuity, I believe said comparison would be useful to someone considering a purchase of the annuity. I’d be interested in your thoughts. I’d want to use more recent bond data than 1926. How much do I really get to pass down to my kids if I purchase the nonreducing death benefit rider? it’s all too confusing for me. typically annually let you pass down your (account value – withdraw). 6% growth, 5% return, and full premium back to your kid sounds too good to be true. What if market is doing really bad and I lost all my money in the account, do I need to put more money in the account to be able to get the full premium death benefit for my kid?